Does the growth of China’s patent office mean that China is “out-innovating” the West, as some commentators would suggest? Patent applications, patent grants, and analyses of patent quality in commercially significant fields are certainly indicators of innovative activity. However, since the Chinese government typically subsidizes patent applications, patent applications in particular may be a distorted metric for benchmarking innovation. Because subsidies may be less available to maintain an invention patent throughout its 20 year useful life, maintenance rates are also useful indicia of whether commercial meaningful inventions are being patented. The IP-5, consisting of the US, European, Japanese, Korean and Chinese patent offices publish a useful compendium of statistical data regarding their offices’ operations (http://www.fiveipoffices.org/statistics/statisticsreports/statisticsreport2012edition/chapter4.pdf -as of July 22, 2014) . The chart below which reflects 2012 data shows that over 50% of Japanese patents are maintained through their 17th year, 50% of US patents are maintained through their 16th year, and only 50% of Chinese patents are maintained through their sixth year. Differences in maintenance rates may be attributable to requirements to maintain annual maintenance fees, or the date of collection of maintenance fees. The US collects a maintenance fee at 11.5 years after date of grant, and does not collect a fee thereafter. SIPO’s Report on Patent Strength, which I have previmaintenancechartously blogged about (https://chinaipr.com/2013/04/29/sipos-2012-report-on-the-situation-regarding-national-patent-strength/), reports on patent maintenance rates. 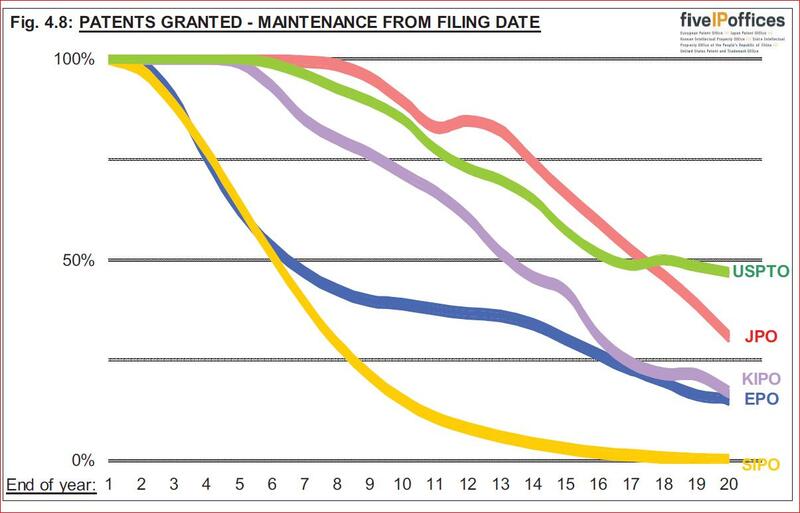 This repot documents that maintenance rates have dropped for Chinese patents – from about 55% in 2011 to 52% in 2012. Only Beijing showed an increase in patent maintenance rates during this period. The data reveals that the rapid increase in patent applications over the past few years is also accompanied by declining maintenance rates – in effect demonstrating a soft underbelly of China’s evolving patent “strength.” I believe the solution to the patent maintenance problem is in strengthening patent enforcement and improving market opportunities for commercializing patents, not in subsidies, awards or other “top-down” regulatory efforts. 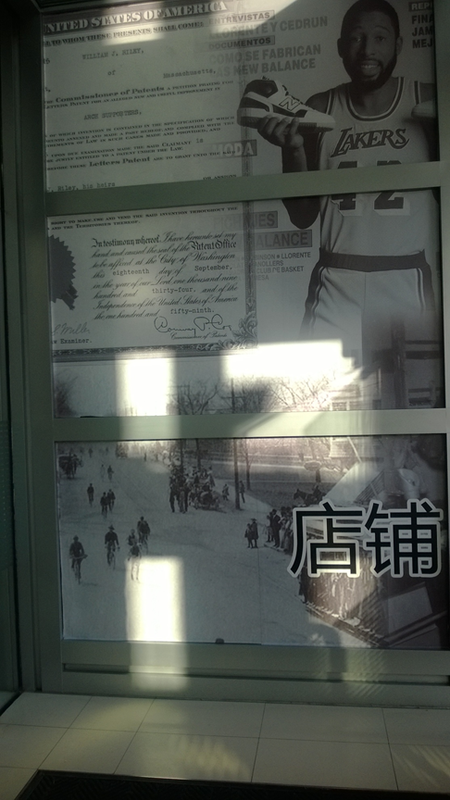 Photo below taken at New Oriental Plaza in Beijing 2013, advertising sporting goods accompanied by a larger than life reproduction of an expired US patent.